A special moment for the bride and groom is their first dance. 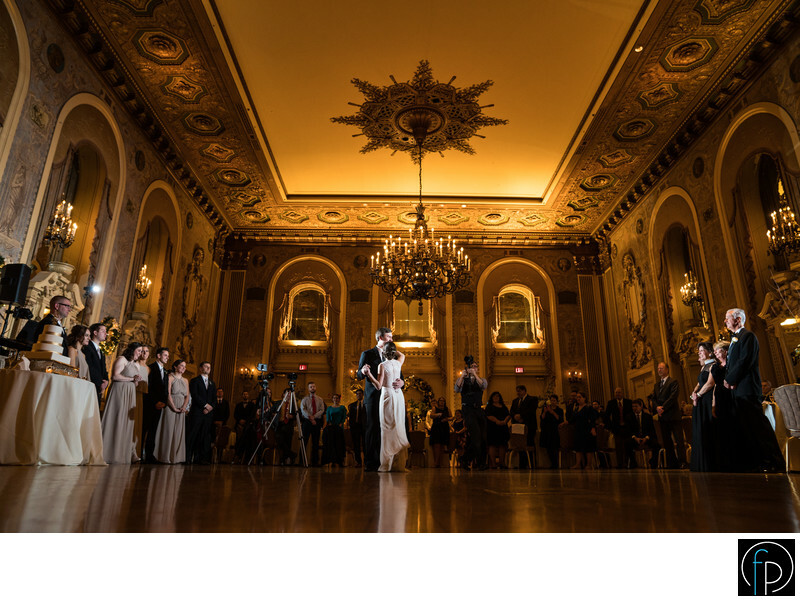 As family, friends and loved ones watched, this couple embraced in the elegant and stunning Gold Ballroom at the Hotel DuPont in Wilmington, Delaware. Location: 42 W 11th St Wilmington DE, 19801.